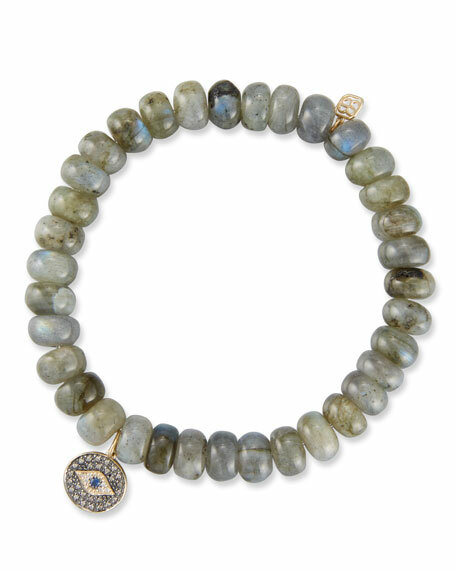 Sydney Evan rondelle bracelet with eye medallion. Polished 14-karat gold eye disc and logo charm. 8mm faceted gray labradorite rondelle beads. Mixed diamond pavé small round eye charm. 0.05 total champagne diamond carat weight. 0.02 total white diamond carat weight. 0.02 total sapphire carat weight.